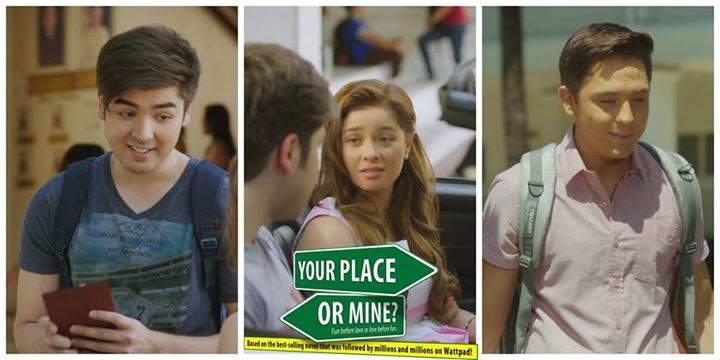 With the growing popularity of novels being adapted for the big screen every year and after the success of the bestsellers turned blockbuster movies “Diary ng Panget” and “Talk Back and You’re Dead,” VIVAFilms is proud to release another popular Wattpad story entitled, “YOUR PLACE OR MINE?” Written by Turning Japanese, with 13.7 million reads. “YOUR PLACE OR MINE?” stars VIVA Princess Andi Eigenmann and newest heartthrob Bret Jackson, together with Diary ng Panget’s Andre Paras. The film is directed by Mr. Joel Lamangan . “YOUR PLACE OR MINE?” is a coming-of-age romance movie that features the crazy love story of HALEY SAAVEDRA, a 19 year old girl taking up BS Psychology, who gets drunk in a bar and sleeps with a guy who’s a complete stranger to her. This man who comes from a rich family is CLAY RUSSELL SANDOVAL, a soccer star player from the same school where Haley studies. They see each other again unexpectedly inside the school, recollecting the details of what really happened on that night. Their actions show that they both enjoy the night and still desire for more. 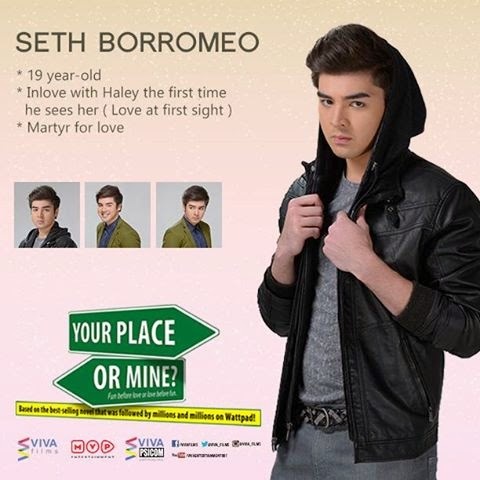 “YOUR PLACE OR MINE?” will open on April 29 in cinemas nationwide!